The IMF Independent Evaluation Office (IEO) has been reviewing the IMF’s work in fragile states. Prior to its publication, the Board is due to consider the evaluation in March, which is likely to be published ahead of the IMF and World Bank Spring Meetings in Washington DC in April. A formal IMF response normally follows a few months later. As the IEO announcement noted, the review will cover a wide range of issues, including both the IMF’s policy advice and capacity building support. Fragile states have criticised the IMF for inadequate levels of financing and its failure to develop alternative policy solutions appropriate to their circumstances. They have also made it clear that they want the IMF to engage more in their countries, in part to enable more contact with non-government parties. There seems to be agreement that the necessary security systems and funding appear to be in place for the IMF to be present. It is thus expected that the IMF’s continued absence from some of the more insecure fragile states is likely to be one of the most contentious issues of the IEO review. If the IMF continues to conclude it cannot manage the risks, then maybe it should consider handing over its mandate in these countries to the World Bank and UNDP, which are present. Ever since the tragic death of the IMF’s much respected resident representative in Afghanistan in 2014, the IMF has become more risk averse about visiting the more insecure fragile states. As is the case with many other international organisations, the IMF does not visit some of the most challenging security environments such as Libya, Syria and Yemen. Yet, there are four fragile states where the IMF no longer has a resident representative, nor visits, while the World Bank and UNDP have offices and do visit: Afghanistan; Iraq; Somalia and South Sudan. The IMF’s own reporting on some of these non-visits is peculiar. The headlines of the latest press release, for example, refers to “IMF Staff Completes Mission to Afghanistan”. It is only the detailed text that reveals that the mission was actually held in a neighbouring country. It is hard to understand why a global organisation the size and importance of the IMF is unable to work out how to make visits, which are necessary to achieve a minimum understanding of local contexts and challenges. It is even harder to understand how the IMF considers it appropriate that it alone can continue to be absent from countries where the World Bank, UN agencies and bilateral diplomatic missions are present. The IMF’s own fragile state staff guidance note of 2012 stresses that its effectiveness requires “a deeper understanding of the political context”. If the IMF does not visit, it cannot meet key stakeholders such as line ministries, parliamentarians and civil society. Without field presence the IMF cannot therefore properly understand the political economy of a country or provide the necessary follow-up to ongoing discussions and processes. Misjudging the context means the IMF can be too slow to fully engage or design programmes that are too ambitious and therefore unsuitable. Field presence also enables the IMF to use its influence to prevent opaque deals and concessions on taxes and revenues that are not in the public interest. Presence is critical for its work in building capacity and facilitating positive change in policies, institutions and governance. Much of the IMF’s current programme in Afghanistan centres on tackling corruption, one of the most politically challenging areas of work in any country, even with a continuous presence in-country. The IMF’s recent drive to improve public investment management, for example, is most welcome, especially in fragile states where the needs are so pressing. But this cannot be effectively done remotely. Effective conflict prevention work also requires inclusive economic governance, dialogue and collaboration. The IMF’s absence is also compromising its ability to lead on global policy debates in key areas such as taxation of resource-based industries and strategies to increase domestic taxation in these challenging settings. South Sudan provides a clear example of why the IMF’s presence matters. While the IMF is the only institution with a mandate – and the technical skills – to engage on exchange rate issues, it cannot do so effectively without engaging in the necessary long-term accompaniment of local political discussions and delicate decision-making processes which require prolonged and consistent engagement. Exchange rate issues are extremely important in South Sudan where donors convert their funds into local currency to use cash-based approaches that have proven highly cost effective ways of delivering humanitarian assistance and supporting the education system (by maintaining teachers’ salaries and giving cash incentives to encourage girls to attend school). The latest review reports that these initiatives have been highly effective, leading to a 50 per cent increase in the number of children in school. But donors now face an effective tax of 80 per cent on these efforts due to the widening gap in the official and market exchange rates. In the past, the IMF was pivotal in the move to align the official and market exchange rates. But in the last few months, the market rate has become nearly twice the official rate. As the IMF knows from its own experience, bringing the rates back into alignment will be enormously challenging, both politically and technically, even if it were in-country. Its absence makes an already difficult task more so, but given the gravity of the situation and the efforts being made to deliver humanitarian support and press for peace, it is certainly worth trying. Even if the IMF helps stop the situation getting worse, that alone would be valuable. Helping to reduce the costs of humanitarian interventions is a vital issue, as underfunded humanitarian support costs lives. So why is the IMF unwilling to go to countries like Afghanistan, Iraq, Somalia and South Sudan? Conversations with fragile states, developed country governments and former IMF and World Bank staff members reveal three commonly cited reasons. It is argued that the IMF does not have a humanitarian or development mandate and that the IMF’s role in the most fragile states is too small to justify putting IMF staff lives at risk. This is odd, given the importance of macroeconomic policies in stabilising the political settlement in fragile settings, and the IMF’s own recognition in a 2011 report that “the implementation of Fund-supported programs in fragile low-income countries (LICs) has been bumpy, possibly reflecting too bold reform agendas or too optimistic assessments of implementation abilities”. The clear view from shareholders and fragile states is that IMF absence does matter. Other institutions and agencies also judge that the issues of economic governance are so important that the risks of deploying specialised public financial management experts in countries like Somalia and Afghanistan are justified. As the recent review of Somalia’s Compact, which guided the relationship between the international community and the state, noted, had the IMF been present in Somalia, both the IMF and the Somali understanding of the issues at stake would have been clearer and faster progress might have been possible. 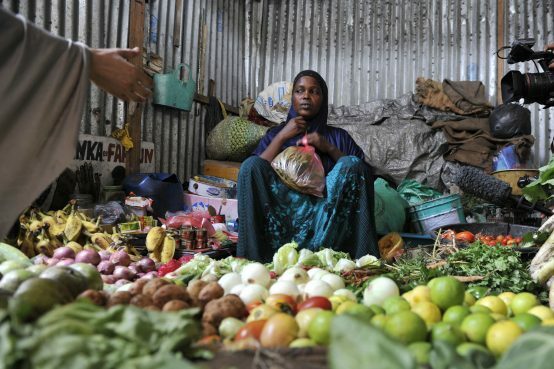 As attention is now increasingly focused on Somalia’s access to debt relief, the IMF’s engagement is even more pressing to accelerate progress and ensure there are no misunderstandings or false expectations. Nonetheless, some argue that the IMF is able to function effectively “remotely” i.e. from a neighbouring country. While the IMF does have programmes of various forms in Afghanistan, Iraq and Somalia, it is the quality and the timeliness of IMF support that is the critical issue. During the board discussion on Afghanistan in December 2017, executive directors stressed the need for strong programme ownership and steadfast reforms. In that light, it is worth noting that ODI is aware of at least one instance where a remote mission failed to meet with the minister of finance as the minister had to remain in country to manage a budget crisis. Working remotely inevitably limits the ability of the IMF to assess and promote programme ownership and build capacity, which is essential and a challenge in the best of circumstances. While the programme in Somalia is a welcome development, this took years to develop and, as mentioned above, is being run out of Washington and Nairobi. As for capacity building, while some training can be provided remotely, the development community has long come to accept that capacity development requires long-term engagement and trust-building, which cannot be achieved through ad hoc trainings and periodic interactions. The IMF’s deployment of hundreds of resident advisers across the world testifies to the importance of complementing such training with presence in-country. All international organisations struggle with staffing and security and yet many have managed to find solutions. It is a matter of both setting the right incentives (e.g. hardship allowances) and recruiting the right staff. The IMF has admitted that many of its staff are reluctant to work on fragile states. Suggestions in the past of additional salary incentives have been countered by the contention that the IMF cannot have different salary structures in one comparatively small organisation. Some argue that the IMF lacks the necessary security infrastructure, noting it will never have the same security capacity as the World Bank. To address these issues, the IMF could consider recruiting mid-career staff from countries that have undergone such crises. Their first-hand experience would also help the IMF develop alternative policy approaches that are appropriate to the context, and avoid mistakes, such as in Timor Leste, where advice failed to recognise the importance of funding key peacebuilding initiatives. There is no need to change the entire IMF salary structure and no-one is suggesting staff would be compelled to go to extremely insecure settings; as such visits must be voluntary. In terms of security, other organisations of the same size have found ways to manage and IMF security advice is already impressive. An example of its capacity to take appropriate security measures is provided by the fact that the IMF was one of the very few organisations to successfully anticipate the outbreak of conflict in South Sudan in July 2016. It withdrew all staff and technical advisers the day before the crisis. If the IMF cannot manage the security challenges it faces, it is possible to share security provisions with the World Bank or UN, as happened in Afghanistan. Diplomatic missions could also host IMF visits (as they have done for the World Bank in South Sudan) and bilateral donors have also been willing to support by contracting and managing the security for consultants working on IMF-led reforms in Somalia. One possible argument that could be used by management is that the current policy has only been in place for three years. But continued absence is costly for the 100 million people that live in Afghanistan, Iraq, South Sudan and Somalia. It is in such fragile environments where the challenges to the implementation of the Sustainable Development Goals (SDGs) are greatest and the IMF’s own commitment to capacity building is most urgently needed. While the current IMF policy does not prohibit visits, no-one to date has been able to cite one example of an application from a staff member to visit. The one known instance of an application for a visit by IMF-funded consultants to Somalia was rejected. Finally, the contention that staff reforms are not the highest priority is inconsistent with the urgency the issue is given by the wider international community as reflected in SDG 16. The IMF’s Board also seems to give this exceptional priority, as evidenced by its most unusual decision to provide additional earmarked security funding. The case for IMF presence in fragile states such as Afghanistan, Iraq, South Sudan and Somalia is well recognised. By contrast the reasons cited by the IMF for its continued absence are insufficient. The IMF’s absence is not only an issue for the above-mentioned countries. When the World Bank and others do re-engage with countries like Yemen and Syria, it will be vital that the IMF is there at the beginning of international efforts to end the conflict and begin the peacebuilding process. It would be wrong for the board – or anyone else – to micromanage the IMF’s own security assessment and determine which countries it should visit. However, the experience of the last three years suggests implementation of its policy is more restrictive than the World Bank. Lagging behind the World Bank for some months would be understandable, but an absence of many years is not. If the IEO evaluation turns out to recommend that the risk of greater presence is fully justified, then hopefully the IMF will accept their judgment. If the IMF wants a second opinion it could commission an independent assessment. But the longer the IMF is absent from these countries, the harder it will find it to assess the appropriateness of a visit. If the IMF continues to conclude it cannot manage the risks, then maybe it should consider handing over its mandate in these countries to the World Bank and UNDP, which are present. 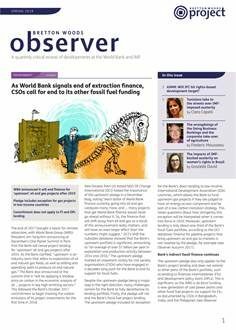 As noted, the IMF’s absence from certain fragile settings is certainly not the only issue with its performance in conflict-affected states and the IEO evaluation will surely cover a much wider set of issues, such as how best to adapt the IMF’s approach to early engagement and capacity building in fragile, low capacity environments. That said, the litmus test of the IMF’s real commitment to fragile states – and the necessary foundation for all its work – is whether it is willing to be in the less secure ones. As Nelson Mandela said “A nation should be judged not by how its treats its highest citizens but its lowest”. It is time for the IMF to stand up to its global responsibilities and play its part in ensuring no country is left behind. Hopefully by the 2018 Annual Meetings the IMF will have joined all the other international institutions and agencies that do visit Afghanistan, Iraq, Somalia and South Sudan. 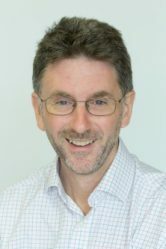 Marcus Manuel is a Senior Research Associate at the UK’s Overseas Development Institute (ODI). His work focuses on fragile states and has included directing a technical assistance programme working in several of the most fragile states and working with the g7+ group of fragile states. Previously, Marcus was a senior official at the UK’s Department for International Development and HM Treasury. In this article he is writing in a personal capacity.